Effective Home Remedies to Cure a Throat Infection: A throat infection is highly contagious in nature, the constant itchiness and pain can be very frustrating and uncomfortable. Although it is one of the most common ailments in winters, the symptoms days can last for days sometimes. People with a throat infection find it difficult to swallow food and liquids. Normally, a sore throat is result of your body’s immune system to any kind of viral or bacterial infection such as common cold and flu. This immune response leads to inflammation of mucous membrane in the throat and causes discomfort. 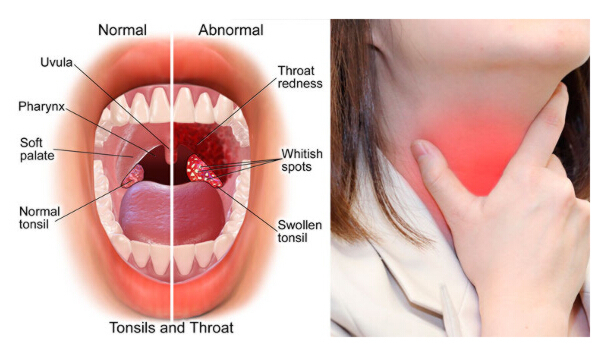 Throat infection can go away on its own eventually and doesn’t need a visit to a doctor always but why bear the pain for days along with when you can easily find the remedies at home. Many easily found kitchen ingredients are known to be effective against throat infection with their anti-bacterial and anti-viral properties. These remedies will not only soothe the pain instantly but boost your immune system as well. Here is a list of our top seven effective home remedies that easily affordable which people of all ages can use to get relive from sore throats. One of the most favorite cures of sore throat, gargling with warm salt water can break down the secretions and sooth the aching throat. Salt has fantastic anti bacterial properties and can kill the bacteria in the throat. Gargling with salt water also neutralizes the acids which may be causing the burning sensation in the throat and promote fast healing of irritated mucous membranes. Add a teaspoon of salt in a glass of warm water and use it to gargle for a few times. This will increase blood flow to the pharyngeal region which will clear off the infection. You can use this remedy every two to three hours to see results. Honey is an amazing remedy for sore throat; it can be used on its own or with other ingredients to get immediate benefit. With its beneficial antibacterial properties, honey fights infection and acts as a wound healer to provide pain relief. It is known to reduce inflammation and acts a cough suppressant. Honey is found to be highly effective when combined with ginger, apple cider vinegar and warm water. Use raw honey for this remedy as it can reduce inflammation and swelling in the lymph nodes. You can also add honey to your warm beverage for additional benefits. A warm cup of black tea can do magic for so throats. There are different types of herbal teas that can be used in this remedy such as clove tea or green tea which have anti-inflammatory and anti-bacterial properties. Tea has a special compound called tannins which helps in shrinking the swollen tissue. Chamomile tea also has a lot of medicinal and anti-oxidant properties which can also boost the immune system to fight against the infection. Any type of herbal tea can be used to get relief from sore throat pain, however, make sure you use black tea only. Cinnamon is considered a powerhouse of spices; it has highly effective anti oxidant and anti-bacterial properties which make it great against sore throat and infections. You can drink cinnamon tea or add a pinch of cinnamon in your milk and drink this before you go to bed to ease throat discomfort. 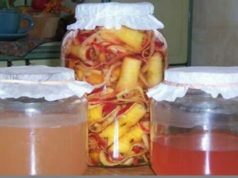 Apple cider vinegar is a natural health tonic with acetic acid as its main ingredient which helps fight of the infection. As it is highly acidic in nature, apple cider vinegar can be used to break down mucous in the throat and stop bacteria from spreading any further. For this remedy, use one tablespoon of apple cider vinegar and one tablespoon of salt with a glass of warm water. Gargle with this mixture, several times a day to see results. Make sure you drink a lot of water in between this time. A mixture of apple cider vinegar and honey is used commonly to treat symptoms of flu like cough and throat pain. Lemon contains high amount of Vitamin C and many anti oxidants which helps in increasing the amount of saliva produces that keeps the mucous membrane moist and reduce the irritation in the throat. 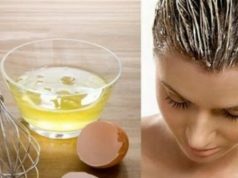 For this remedy add one tablespoon of lemon juice in one cup of water and drink it slowly. The acidic juice will assist in shrinking the swollen lymph nodes and create an acidic environment which helps in killing the bacteria. Drinking lemon juice regularly during a throat infection will surely reduce the pain and cough. You might have heard a lot of time to chew on a piece of garlic to prevent any sort of infection. 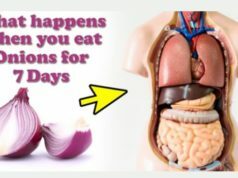 Well that is certainly true, a lot of scientific studies have proven that regular consumption of garlic can fight of various kinds of infections and boost your immune system as well. pain. Additionally, you can also add a good garlic supplement in your daily diet for overall health benefits. When you have a hurting throat, it becomes hard to swallow and the last thing you want to do is drink something. However, it is vital that you keep yourself hydrated so that the mucous membrane can heal. Having plenty of fluids which can include herbal teas, warm water, etc will be very much beneficial. You are most likely to experience sore throat at some point, fortunately there are easy remedies found in your kitchen that can help you heal quickly. These seven remedies that we have discussed above will give you certain relief from the sore throat symptoms.